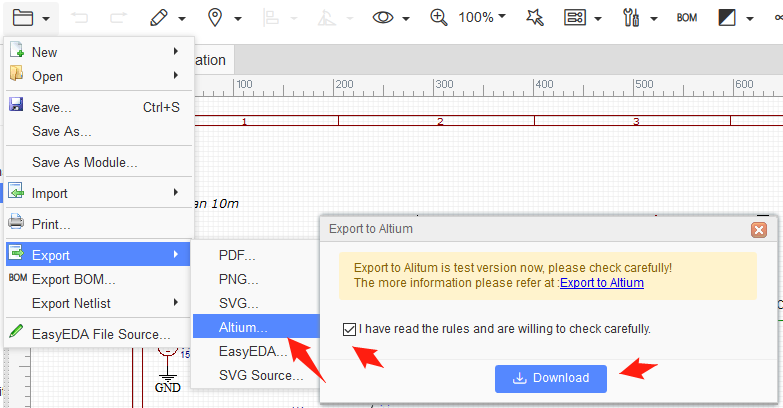 Export Option: From here you can choose to export your design to SVG, PNG and PDF file format. Size: Only for PNG and SVG. This is images’ width, for example, when you set size as 1x, the exported PNG’s width is 600 pixels, if you set size as 2x , the width will be 1200 pixels of the exported PNG. Wire Width: if you set this to 2x, the line width will be enlarged two times as you wired. This is illustrated in the image below. 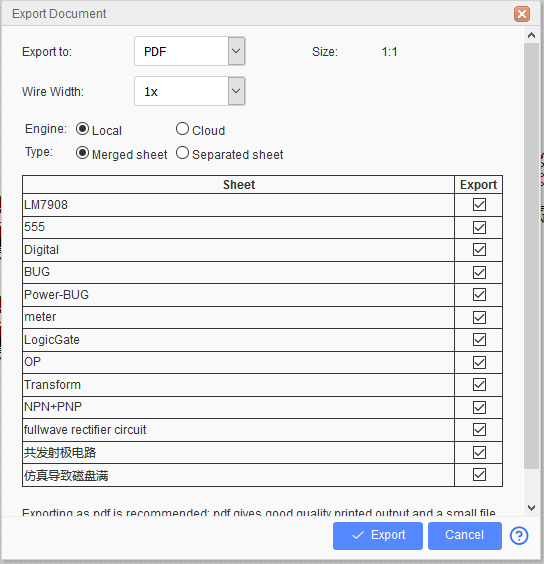 Merged sheet/Separated sheet: This option only for exporting PDF. When you export a schematic with multi-sheets, you can choose merged or separated. Merged will combine the sheet you selected into one PDF, separated will export PDF for each sheet to a PDF separately. 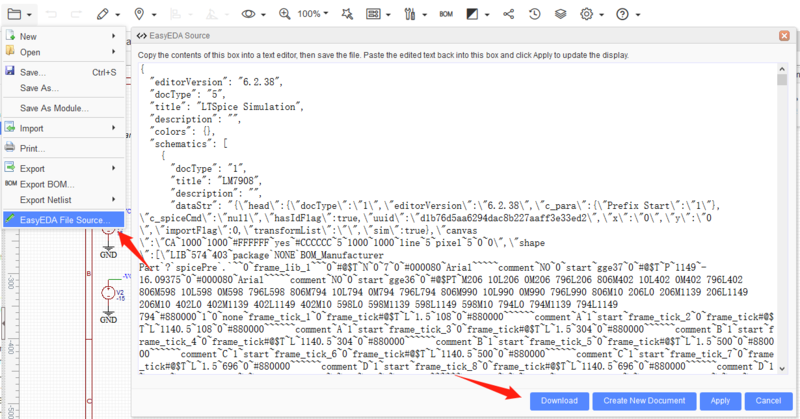 Document > EasyEDA Source…, click the download button, you will get a .json file. Or Project > Right Click > Download, you will download a zip file with EasyEDA Source files for Schematics and PCBs. Via Document > Print, will open a web page and open the print dialog, you can print it as you want.